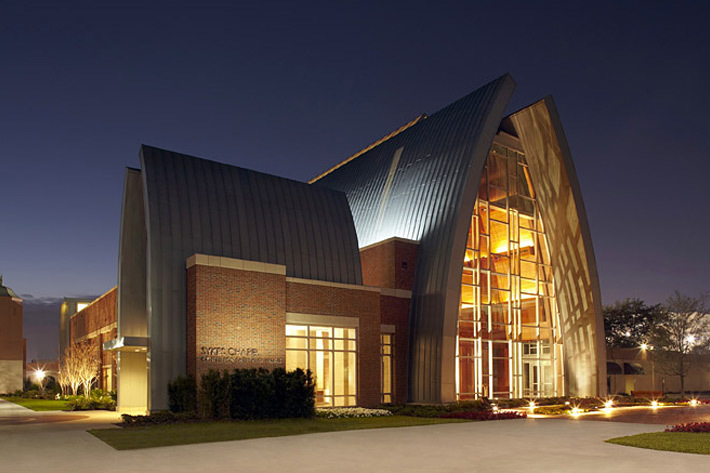 Sykes Chapel and Center is an important part of the University of Tampa’s renewed central campus quadrangle plaza, envisioned as the hub of student life. 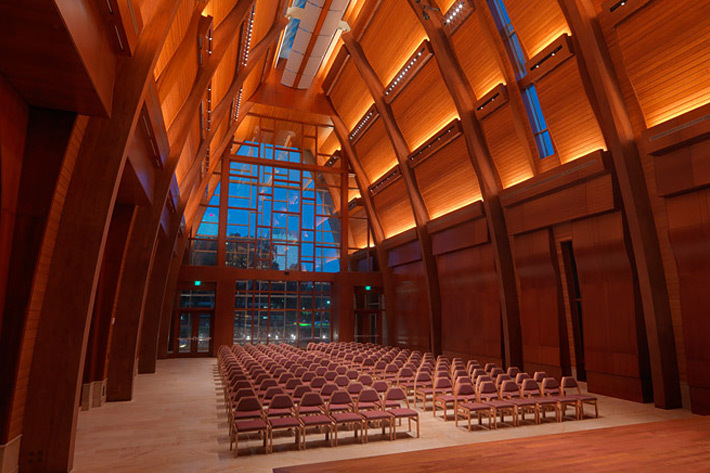 Based on the golden section, the chapel’s design features a warmly lit, wood veneer vaulted ceiling that evokes cupped hands in prayer and one of the largest pipe organs in the U.S.
CD+M developed an environmentally conscious lighting scheme for Sykes Chapel and Center that uses energy efficient technologies to lower the building’s overall consumption rate and decrease long-term maintenance costs. The lighting is uniquely integrated into the building’s architectural folds, highlighting the striking details that characterize the space.